"WOOF! ("MEOWS!") 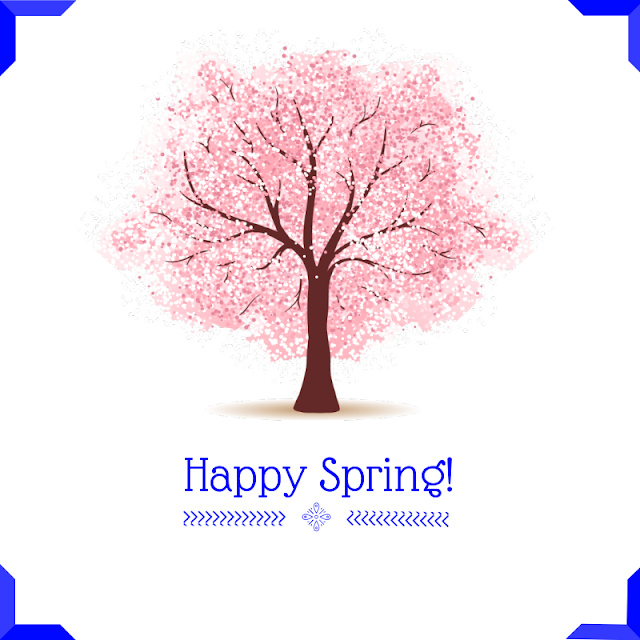 Happy Spring!! Let all the fun begin!" "WOOF! In the spring, I usually do not have to wear my winter coat on walks, our walks are a bit longer and more often in a day, and the weather get's warmer. If it should snow, and we still could have a huge snow, it will melt pretty quickly and be done with it. Dad usually starts going to the garden center to buy mulch, bags and bags and bags of it, and pawlenty of flowers and planting mix- and I get to go for rides in the car!" "Really cool Noah! I am enjoying watching more birds and those pesky-looking squirrels. I would love to get out in the yard and catch one! Paws, I'm not allowed outside.... so I will watch you guys from my perch in the cat tree!" What you're favorite Spring activity?